Euro has completed the second ascending impulse. We think, today the price may fall towards level of 1.2640 and then finish this five-wave ascending wave by forming another ascending structure to reach level of 1.2715. 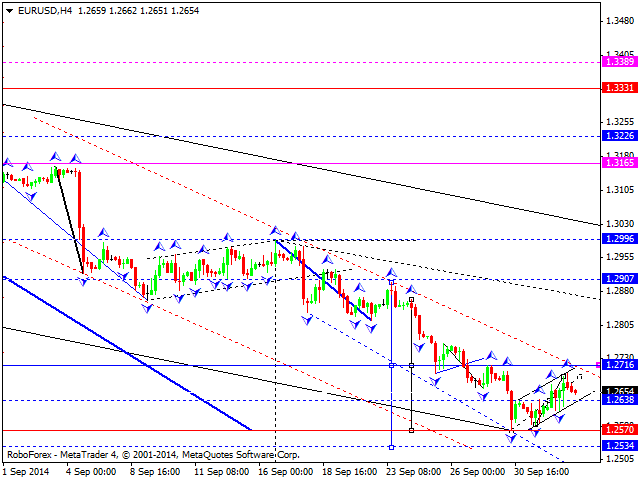 Later, in our opinion, the pair may form a correction to return to level of 1.2640. After such structure, we’ll estimate whether the market has a potential to continue this correction towards level of 1.3388. An alternative scenario suggests that in case the price fails to rebound from level of 1.2715 and break it upwards, the market may renew the current minimums. Pound is still under pressure and continues moving downwards. 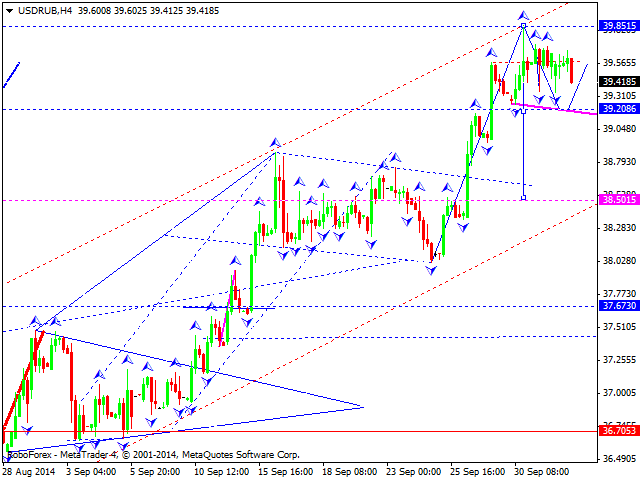 We think, today the price may form an ascending structure towards level of 1.6220. 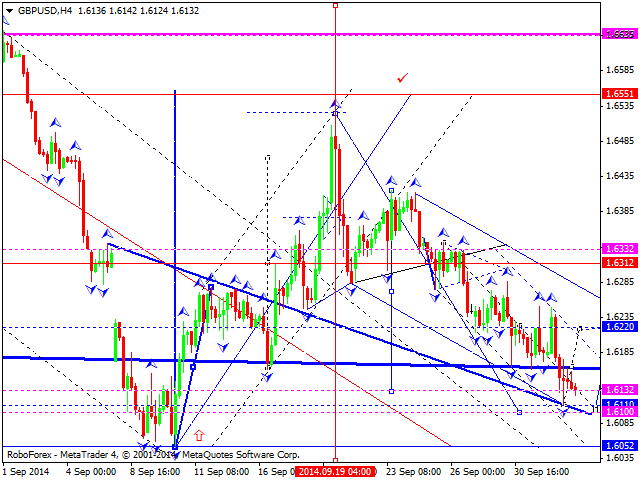 In case the pair fails to break level of 1.6165, it may reach a new minimum. Later, in our opinion, the market may form another consolidation channel and a reversal pattern to continue moving upwards and return to level of 1.6340. Franc has completed the second descending impulse. We think, today the price may return to level of 0.9556 and then complete this first five-wave descending structure by forming another descending impulse with the target at level of 0.9500. 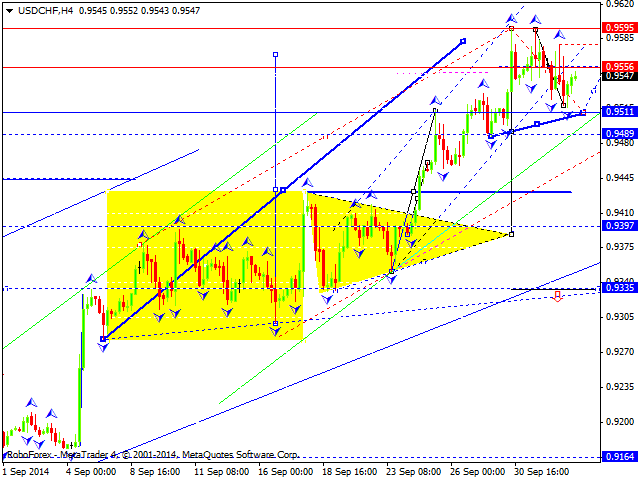 Later, in our opinion, the pair may form a correction to return to level of 0.9556. 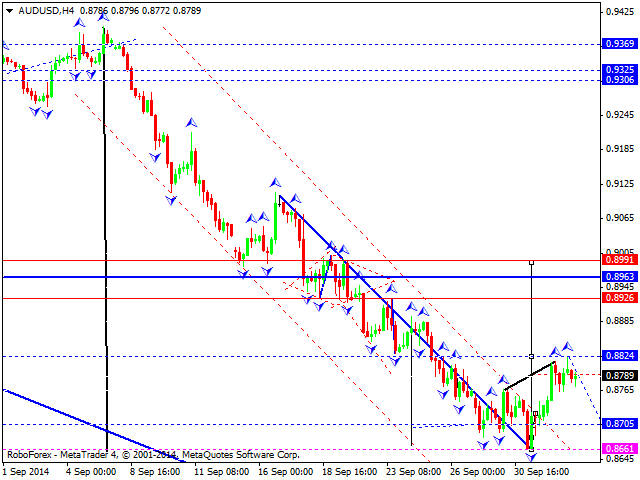 After such structure, we’ll estimate whether the market has a potential to continue falling towards level of 0.9100. An alternative scenario suggests that in case the price fails to rebound and continue falling towards 0.9500, the market may reach a new high. Yen has formed quite a strong descending impulse. We think, today the price may form a correction towards level of 109.20; this structure may be considered as a bearish flag pattern and a part of the right shoulder of head & shoulders pattern. The market may form a reversal pattern to start a new downtrend. 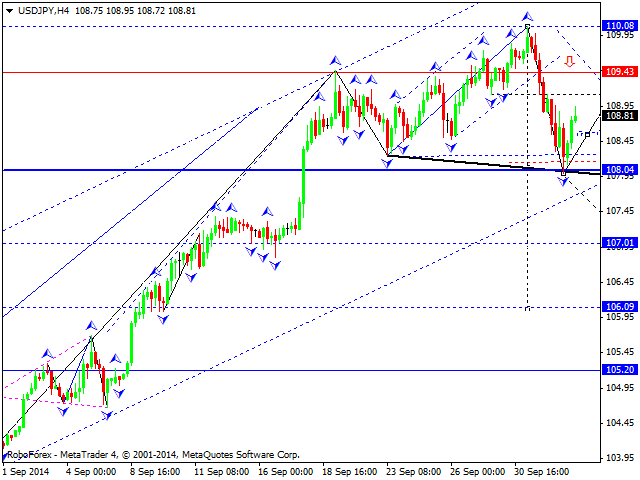 The target is at level of 106.10. Australian has finished the first ascending impulse. We think, today the price may fall as a correction towards level of 0.8705 and then start another ascending wave to reach level of 0.8925. Ruble is still consolidating. 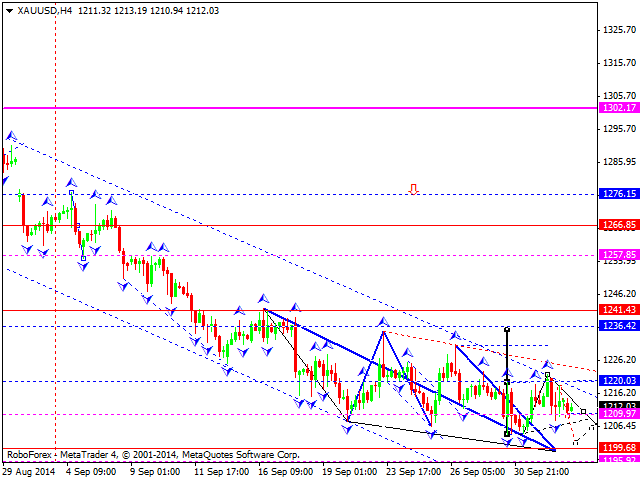 We think, today the price may fall towards level of 39.20 and then return to level of 39.57. Later, in our opinion, the pair may try to break this consolidation downwards and then continue a correction towards level of 34.00. Gold hasn’t been able to form the third ascending impulse at a go; right now the instrument is under pressure again and continues falling. We think, today the price may fall to reach a new low at 1201 and then return to level of 1209. Later, in our opinion, the market may move downwards again to reach 1199 and then form a new consolidation range and a possible reversal pattern.